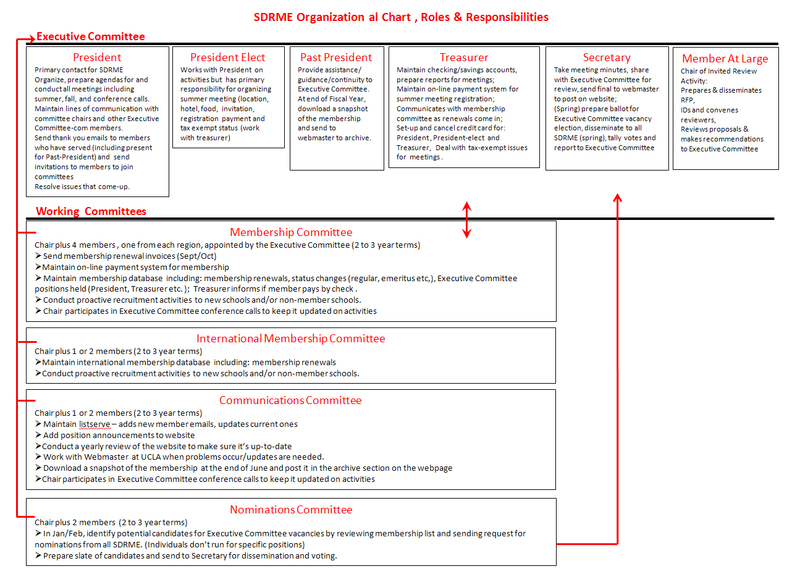 The Society of Directors of Research in Medical Education (SDRME) is a non-profit organization (501c3) dedicated to enhancing the quality of education in medical schools. It is composed of directors of units with responsibility for educational research, evaluation, and program development. The Society promotes: (a) research in medical education, (b) collaboration among its members and with other organizations, (c) professional development for its members and (d) the development of research units in medical education. The Society is an advocate for education research and development in medicine and seeks to influence national research policy. SDRME strives for excellence in the pursuit and dissemination of new knowledge in medical education; and in the development, implementation, and evaluation of educational programs. SDRME serves to support and augment individual efforts through collaborations, consultation, and collegiality. SDRME promotes the growth of the profession of research in medical education through service to its members and through their service to individual researchers as well as to relevant institutions and organizations. SDRME seeks to advance the field of Medical Education through quality research and program development, to represent a growing number of highly respected collaborating units of research in medical education in North American Medical Schools, and to become an internationally known organization advancing medical education. Improve the quality of research in medical education. Create a clear and favorable conception of our profession in the Council of Deans. Increase membership in SDRME and number of units of research in medical education. Develop strong relationships with funding agencies and organizations. Encourage the development of a clear academic track for investigators in medical education. © 2019 www.sdrme.org. All rights reserved.